Chlorine and bromine sanitizers keep the water clear, protected from bacteria and help control algae. 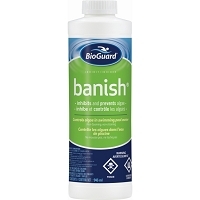 Oxidizers (shock) destroy organic contaminants to restore water clarity and maintain water balance. Balancers control scale, prevent metallic stains, adjust pH, total alkalinity and mineral balance. Algaecide is needed to keep algae at bay and your pool water completely clear of visible growth. 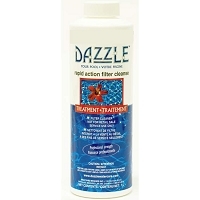 Water enhancers get rid of cloudy water, make it brilliantly clear and maintain filter efficiency. Regular cleaning helps to keep pool surfaces glistening and increase the lifetime of pool equipment. 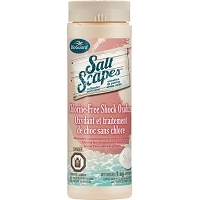 These products will help support the unique needs of your saltwater pool.